The highly respected and widely known Anorexia Nervosa: A Survival Guide for Sufferers and Friendswas written in 1997. This long-awaited new edition builds on the work of the first book, providing essential new and updated research outcomes on anorexia nervosa. 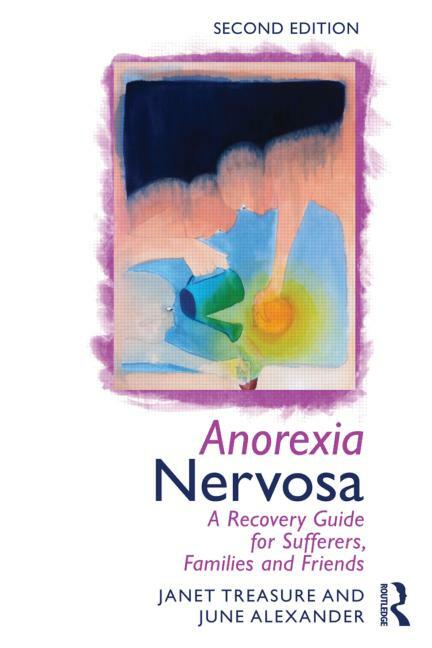 Anorexia Nervosa: A Recovery Guide for Sufferers, Families and Friends, offers a unique insight and guidance into the recovery process for those who suffer from an eating disorder as well as advice and information for their loved ones. Written collaboratively by both an expert in the field and someone with personal experience of eating disorders, this book offers exceptional understanding of the issues surrounding the illness. • guidelines for professionals who are involved in the sufferer’s life. Families, friends, carers and professionals such as teachers and GPs are encouraged to read all sections in order to fully understand the illness. With an emphasis on collaboration and a layout that enables content to be referenced and read in any order, this book is an essential resource for anyone affected, directly or indirectly, by anorexia nervosa. Director of Eating Disorder Unit, South London and Maudsley Hospital and Professor at Kings College London. 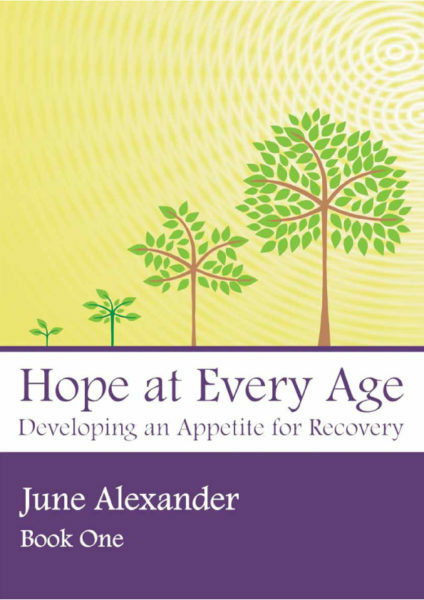 June Alexander is an Australian writer and life writing educator who has a 40-year career in journalism and has battled eating disorders since the age of 11. I developed anorexia nervosa at age 11 in 1962. Twenty years would pass before my illness was diagnosed. There were no wonderful books such as Anorexia Nervosa: A Recovery Guide for Sufferers, Families and Friends around when I was young. There was no wonderful researcher and clinician such as Professor Janet Treasure to reassure my parents or me that I had an illness and could recover. I was in my thirties when my recovery journey began. But the eating disorder thoughts were deeply entrenched in my brain. I was also battling chronic anxiety and depression. I had no idea who I was. Untangling and separating the real me from the illness became a battle supreme. Although by now aware of the illness, I was afraid to let go of rules and thought processes on which I had survived, though barely functioned, since childhood. Losses were many. There was, however, an ace card – my four young children. My love for them and a desire to watch them grow up, gave me the strength to gradually reach out – and let go. I began to trust therapists who, thanks to research outcomes, were becoming increasingly better informed. In my forties, I began to learn skills to recognise and defuse eating disorder thoughts. I progressively conquered fears, got in touch with suppressed feelings and rebuilt my identity. This involved learning to love, trust and respect myself, and eating three meals and three snacks every day, without fail. Easier said than done for someone with an eating disorder, but at age 55, I ticked all the boxes and crossed the line in regaining me. The years of struggle and hard work, tears and desperation, were over. My story is told in the memoir A Girl Called Tim and, with others, in Using Writing as a Therapy for Eating Disorders: The Diary Healer. At the time of writing, my life is filled with purpose. Writing books to give hope to others helps to turn my eating disorder experience into a big plus. I love life. I love every second. A loving partner, our children and grand children complete my happiness. They are my present and my future. 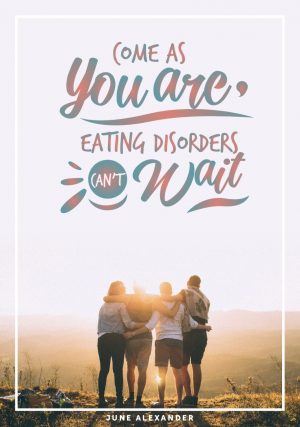 Early intervention with family-based treatment is best by far, but no matter how long you have lived with an eating disorder – if you are 20, 30, 40, 50 or 60 or more – you can regain quality of life. You can be free. Yes, you can. 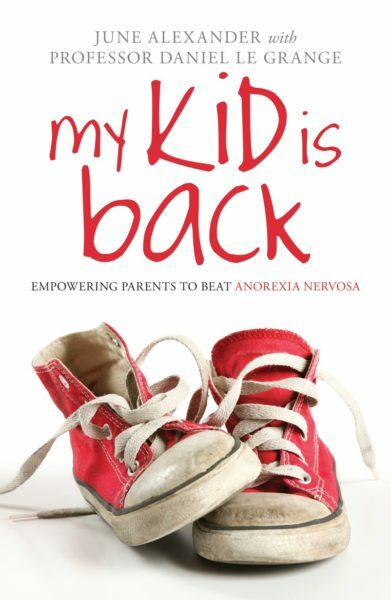 Reading Anorexia Nervosa: A Recovery Guide for Sufferers, Families and Friends and applying it to your life is a marvellous first step.